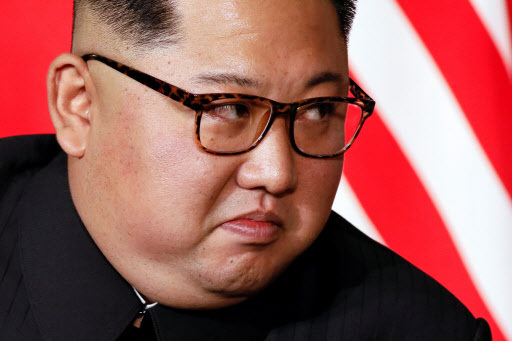 North Korea on Friday stepped up demands for the US to declare a formal end to the Korean War amid expectations of US Secretary of State Mike Pompeo’s imminent visit to Pyongyang. “The US should show mutual trust through phased and simultaneous action by adopting the declaration of the end of the war,” the article said, calling it a “preliminary and essential process” to pave the way for a peace regime and easing of tensions on the Korean Peninsula. “Adopting the declaration of the end of the war is a demand of the era. Once it is adopted, a solid peace system will be established on the Korean Peninsula and a significant progress will be achieved in terms of security for the world,” it said. North Korea has called on the US -- one of the signatories to the armistice signed in 1953 -- to declare an end to the war as the first step to ensuring regime security, arguing it has already made some concessions. The North has maintained that it has halted nuclear and missile tests, shut down a major nuclear test site and dismantled some parts of a missile engine facility. It also returned remains of American soldiers killed during the Korean War. But it has yet to take concrete steps to dismantle its nuclear weapons program. Washington remains reluctant to declare an end to the war due to a lack of visible progress on denuclearization, which has stalled follow-up talks to the US-North Korea summit. At the summit, Pyongyang committed to the complete denuclearization of the Korean Peninsula in return for security guarantees from the US. Amid the apparent absence of progress, speculation abounds of Pompeo’s imminent visit to Pyongyang, seeking a breakthrough. Several South Korean media outlets reported that Pompeo would strike a deal under which North Korea offers a list of its nuclear facilities and the US declares an end to the war during his visit to Pyongyang. Pompeo traveled to Pyongyang last month to flesh out the Trump-Kim agreement, but returned to the US with little outcome.